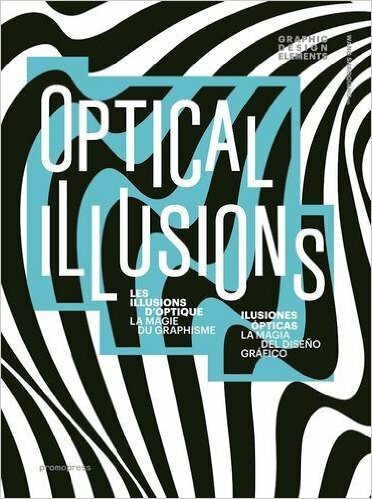 In Optical Illusions, lines and graphics are turned into communication weapons. This showcase of the most intriguing and eye-deceiving graphic designs includes waves and mazes formed by simple lines, overlapping images, 3D effects, and anamorphic spatial experiences. The techniques featured trick your eyes and reveal how basic elements can have an impressive visual impact. Designers will be amazed by the examples in this book and in turn gain inspiration for amazing their clients. 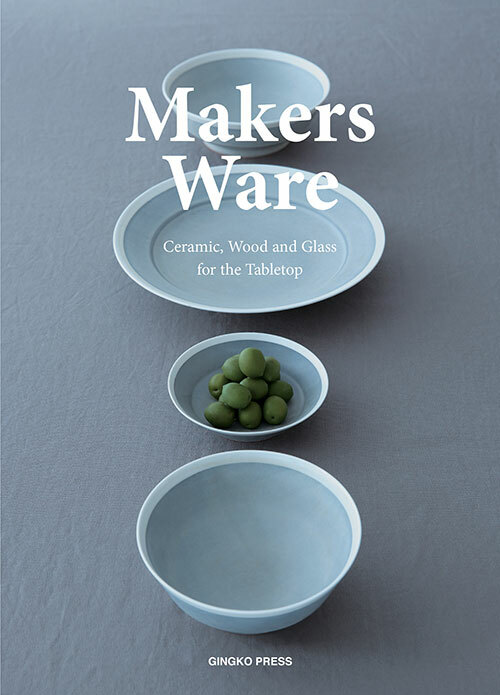 An understated tome, Makers Ware quietly speaks to the power and beauty of handmade tableware that is simultaneously utilitarian and artistic. The makers in this volume deftly hone clay, wood and glass with great respect for natural forms and the elemental properties of the materials themselves. The tabletop becomes a work of art once bedecked with the textures, colors and shapes of these talented craftspeople, who hail from the backwoods of Maine to Norway, China, Japan and beyond. Interviews with the creators are accompanied by impeccable photography of their wares, local environment and private workshops. Combining artistic expression and design principles with dynamic storytelling, motion graphics—a digital technique that combines the language of traditional graphic design with the creative visual language of film and animation—evoke strong emotions and create a connection between the message and the viewer. Motion Graphics: 100 Design Projects You Can’t Miss brings together outstanding projects by renowned studios from across the globe, including Huge Designs, Imaginary Forces,TROUBLEMAKERS, and Panoply. The striking works presented here are divided into four categories: commercial, cultural, experimental, and title sequences. Motion graphics isn’t a new field, but with innovative technologies, refreshing concepts, and a wide potential for its application, its importance to visual communication is clearly on the rise. 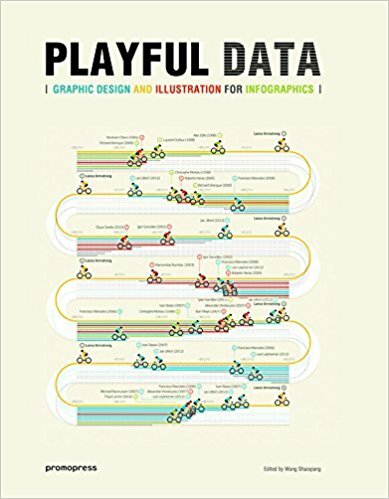 Playful Data: Graphic Design and Illustration for Infographics features brilliant and illustrative infographic projects from gifted graphic designers, illustrators, artists, and even scientists. Not only do they visualize data in a tangible and memorable way through playful illustrations, but they also provide us with inspiration for balancing colors, words, and images, as well as for distinguishing between primary and secondary information when data is presented alongside pictures. The projects revealed in this volume are divided into three main categories: statistical findings, flow diagrams, and instruction and explanation. Some of the projects illustrate data acquired from rigorous and precise scientific research, while others are the product of designers’ imagination and experimentation. It’s time to learn to play with data! One of the most challenging task for a product designer is certainly to combine form and function in an effective way. Creativity, thus, is an important asset for them, if they want to find the right balance. 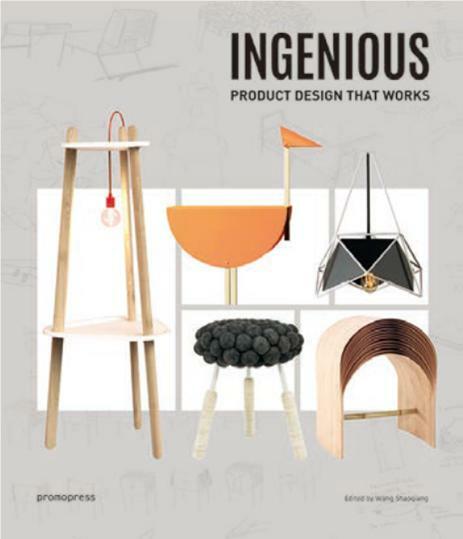 This book features different examples from all over the world of how inventiveness results in outstanding and original products, in the form of furniture, decorative objects, lamps and toys. The volume includes product descriptions, photographs, and designers’ sketches which show the design processes. A must-have for both students and professionals of product and interior design. 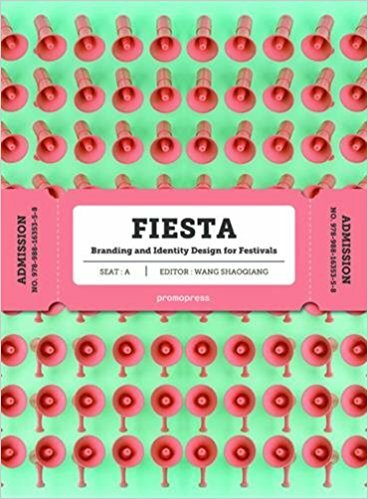 Fiesta: The Branding and Identity of Festivals is a compilation of remarkable branding designs and campaigns for a variety of renowned festivals from around the world. The festivals examined span the worlds of music, cinema, design, gastronomy, culture, and art. The identity and communication campaign strategies deployed by festivals encompass an endless array of design techniques, from graphic elements such as logos, posters, web pages, advertisements, mobile apps, tickets, and wristbands to collectible items like T-shirts, bags, and cups. This volume will inspire and serve as a useful tool for graphic designers and branding agencies that seek to handle challenging and wide-ranging festival projects with the highest degree of creativity and imagination, as well as for festival organizers and anyone interested in visual culture in general. The events featured, which include Flow Festival, Green Film Fest, ADC Awards, Forward Design Festival, and Barcelona Design Week, show that the success of a festival has a close connection to its tailor-made branding and design and that no matter what the subject of the festival is, it is essential to have a coherent identity strategy. Technological evolution gives people the possibility to receive information from different sources by means of various devices. In the field of branding, logos have to be optimized for smart phones, tablets, TVs and desktops and meet users’ needs at the same time. It’s not new; traditionally, a designer is used to preparing a few variants of the same logo to use for different purposes (horizontally, vertically, short, tall, small, etc.) in different media (book covers or spine, advertisements, positive/negative...). Today, in what is becoming a branding trend, the ability to adapt has assumed more importance given that within the diverse spectrum of current displays and formats a logo has to preserve its personality and identity in a wide range of sizes. Just like webpages, brands adapt and change their visual appearance depending on the width of display devices. For this, in some cases measurements are already taken to reduce logo details and reorganize identifiable elements to avoid losing the identity that characterizes them. In other cases, designers abandoned the old logos that no longer work well today and create more flat designs to suit today’s media. 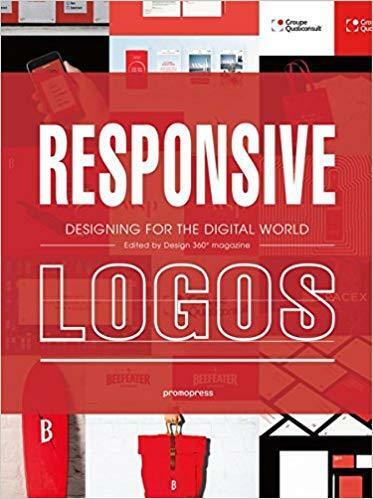 This book features both trends with detailed analysis to help designers make logos that are both useful and stylish in this digital era, through examples of brands with design variants for all types of physical and digital supports in addition to the responsive adaptation of the brand in diverse display formats. Designers and students structure their portfolios following their instincts and according to their own professional development. 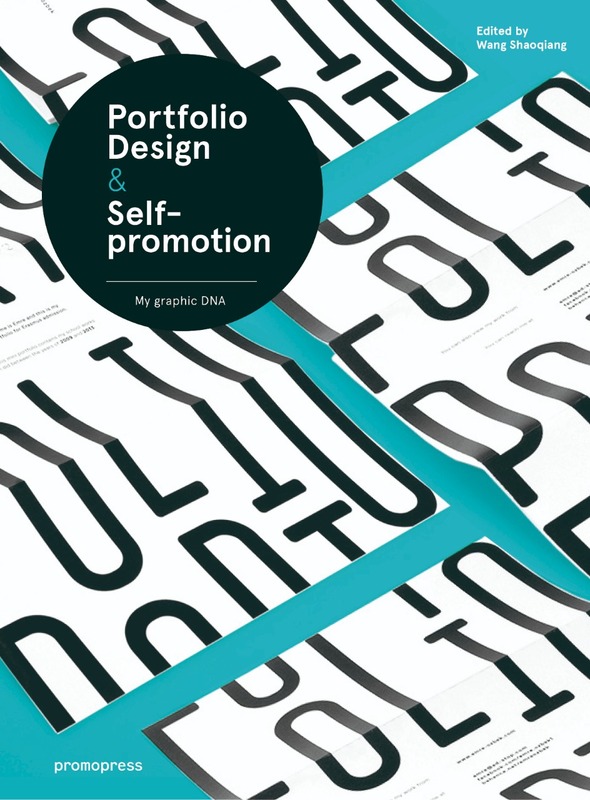 A portfolio principally contains print designs, which are used to plan, organise and document the designer’s personal experience, work samples and skills. These selections are collective representations, through which designers seek to highlight their best accomplishments for the purposes of appreciation and promotion. This is precisely the object of this unique book: to present a selection of samples of the best works by young designers from all over the world. Fresh, inventive and full of original and ground-breaking ideas that use new materials and experimental techniques, Portfolio Design aims to offer not only visual delights but also invaluable references and solutions for those who are looking for inspiration in producing an eye-catching portfolio of their own. 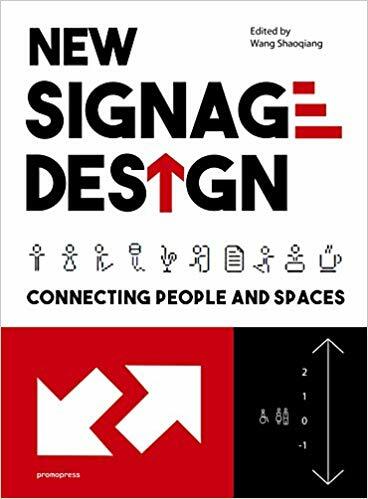 This book is a selection of projects from across the world in which the graphic signage system stands out not only for its meticulous form but its unmistakable illustrative function. Public spaces where a large number of people need to find their way such as auditoriums, airports, museums, hotels, shopping centers and offices require a good orientation system to handle and facilitate the circulation of these people, in addition to ensuring easy accessibility. Signage must achieve this objective to ensure the result is effective, intelligible to everyone and aesthetically pleasing at the same time. Matters such as scale, volume, position, colors and materials used to build the signage will be determined by the type of equipment or office while graphic communication elements will reflect and be adapted to the client’s identity. 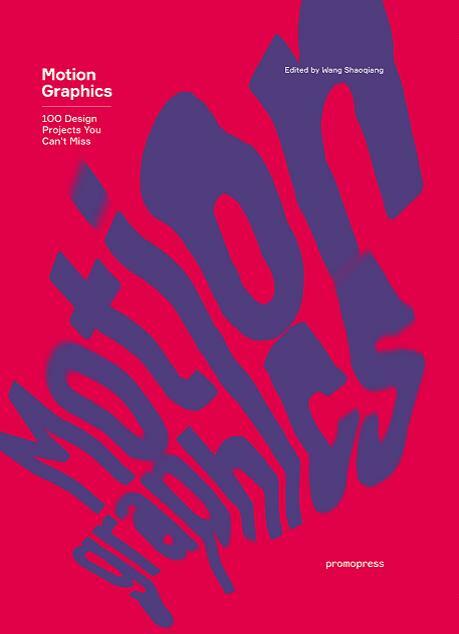 Symbols, fonts, pictograms, arrows, optical effects and other resources are used here in a multitude of surprising, suggestive and varied ways that will not fail to grab readers’ attention, presenting them with an extensive range of ideas in which to find inspiration. This title deals with the challenges that architects and designers face in creating spaces that can be rapidly constructed, taken down and even relocated. 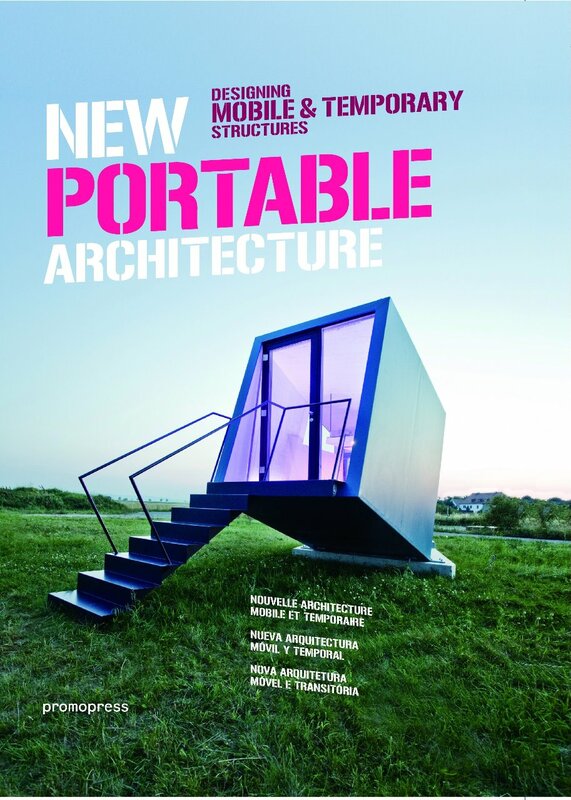 In revealing the cutting-edge techniques that are allowing static architectural forms to go mobile, the diverse examples provided in this book will capture readers' attention and imagination.